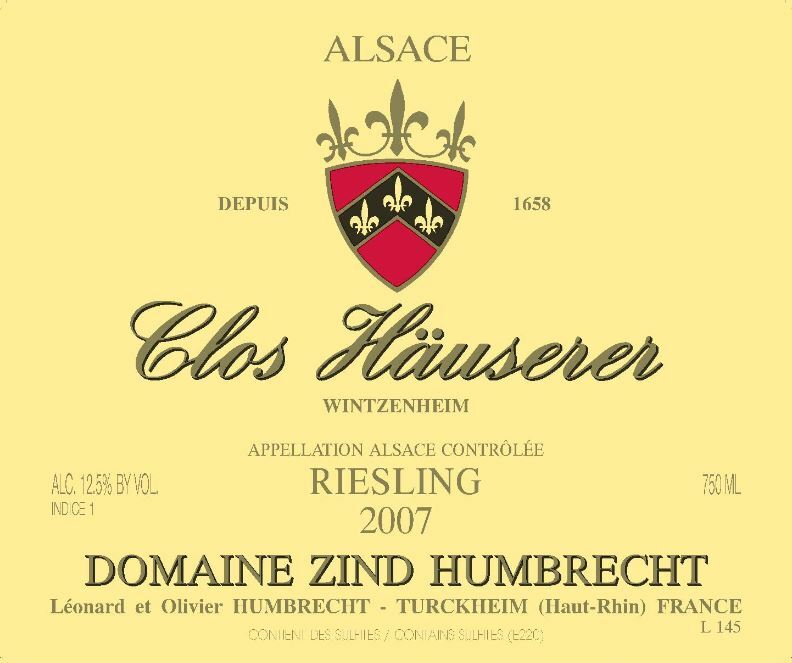 The Clos Häuserer vineyard is located at the bottom of the Hengst hillside, just under the Grand Cru limit, where the slope becomes gentler and the soil is much deeper. The Oligocene calcareous rock is in fact under 2 or 3 feet of rich marl. This area enjoys a very dry and warm climate. The secluded situation of the Clos Häuserer, circled by hills, accentuates both heat in summer and cold in spring or autumn. It certainly was a gamble for my father to choose Riesling in this location! The richness of the soil refrains Riesling of ripening too quickly and help to keep higher acidity, however, warm periods allows for eventually good ripeness. Most previous vintages, this vineyard saw quite some noble rot development, but in 2007 the grapes couldn’t have been harvested healthier. The fermentation was slow, despite a moderate alcohol level and the wine gained a lot of complexity and character after spending a long time on the fermenting lees.